This month’s Instagram Takeover features Georgia native and avid hiker Robert Stephens. Robert is a self taught photographer and writer. Over the past seven years he has traveled the Southeast extensively, all the while chronicling his adventures in two self-published books. With the final stages of winter finally here, we asked Robert to submit his favorite winter landscapes, and the results were amazing. See them for yourself below and follow Robert in Instagram here. 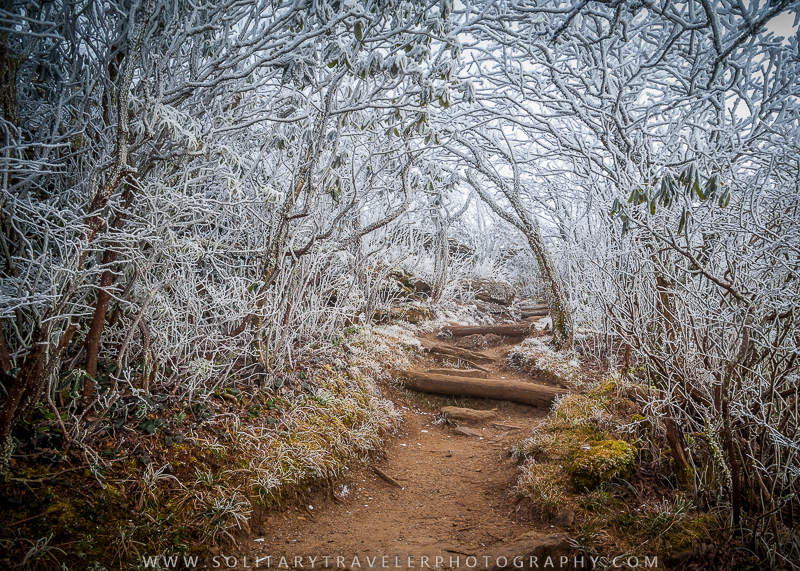 “An Entrance To Winter” – Rime ice on the Craggy Pinnacle Trail on the Blue Ridge Parkway north of Asheville. I believe you’ve shared this one in the past, but it seems every time it gets shared it really catches on. 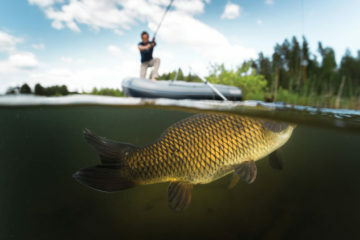 Plus, it’s a finalist in the Appalachian Mountain Photography Competition in the Landscape category. 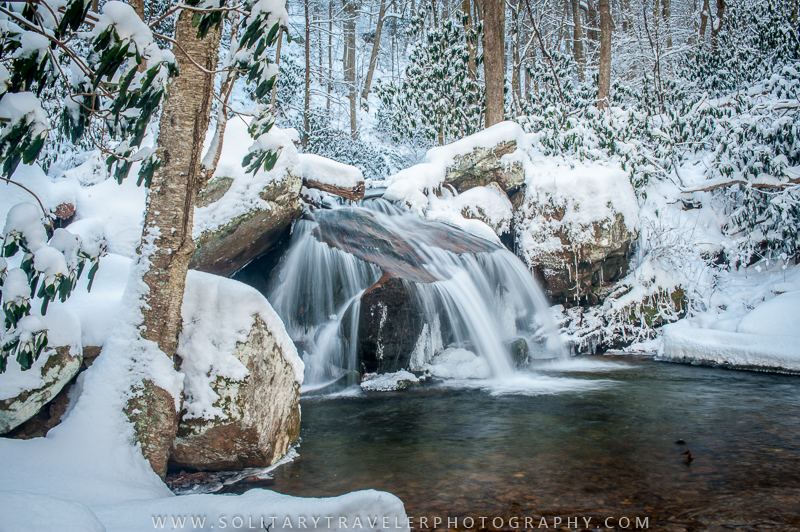 “Cascading Winter” – taken along the Margarette Falls Trail near Greeneville, TN. This was shot after the first big snow of the year back in January. 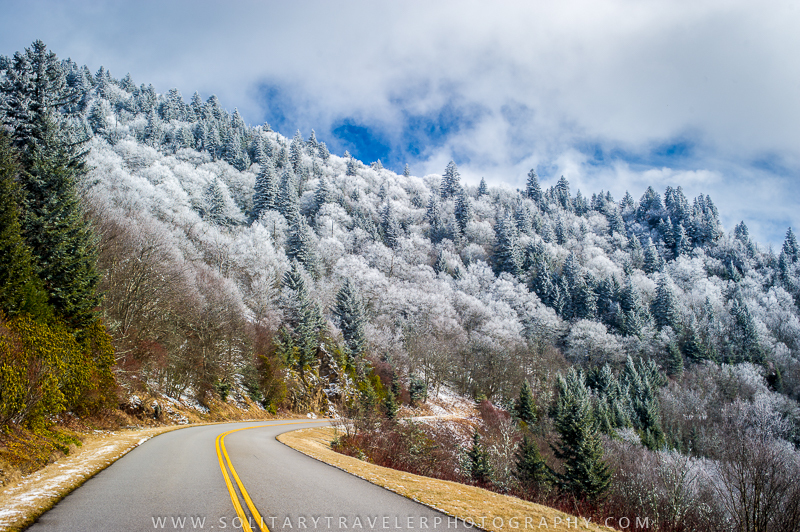 “Icing On Top” – my most recent image, shot Thursday as I hiked the four mile stretch of the Blue Ridge Parkway between Soco Gap and Waterrock Knob Overlook near Cherokee, NC. Rime ice and snow only covered the very highest elevations, hence the title. This was shot just below the Waterrock Knob Overlook. 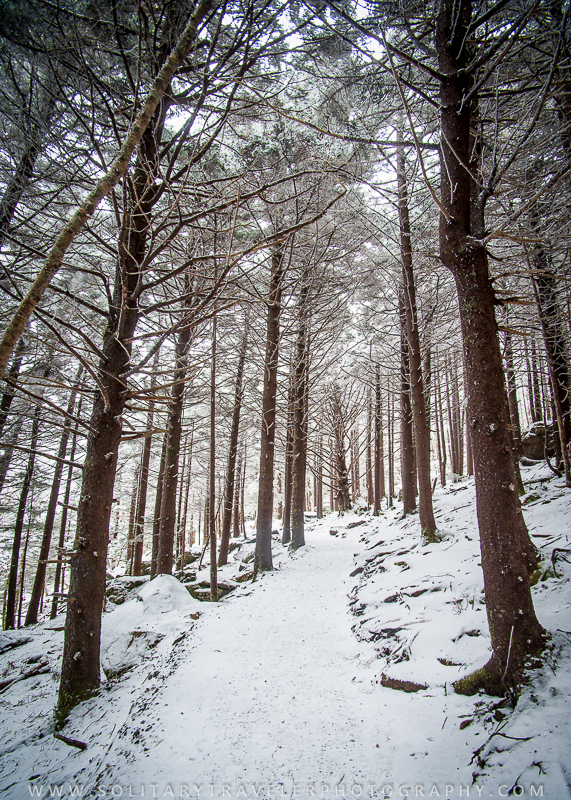 “Deep Woods Winter” – a very familiar spot on the Appalachian Trail near Carver’s Gap/Roan Mountain, in its winter guise. 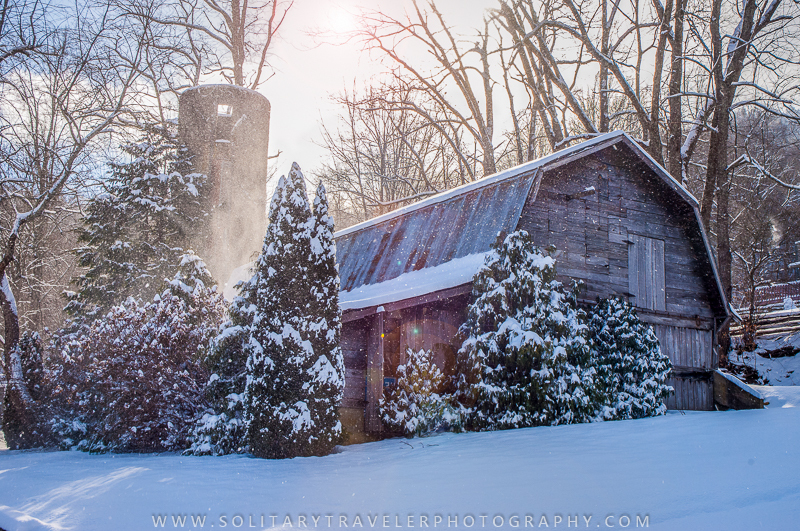 “Maggie Valley Winter Barn” – this was also taken after that first big snow of the year began clearing out of my area in Maggie Valley, NC. I explored the town by foot and caught this burst of sunlight peeking through the clouds as the snow fell. BRO: How did you cut your teeth in the world of outdoor photography? RS: I have always traveled and hiked, but with the advent of social media in the mid-2000’s I was able to share my journeys with friends, illustrated with photos; first, taken with a primitive camera phone (circa 2005) then, with a point-and-shoot, then finally a digital SLR in 2011. My friends liked the images I shared, so I decided to develop my skills further, and here we are! BRO: Where do you take most of your photos? RS: I take the vast majority of my images in the Appalachian Mountains, though occasionally I’ll make a beach trip to change things up. I hope to expand much further in years to come. So many places to see. BRO: 5 favorite trails in the Blue Ridge? 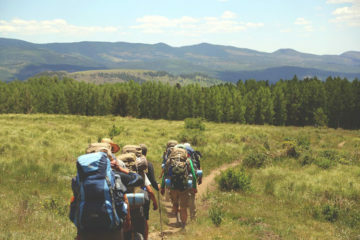 RS: I don’t really consider myself as skilled or avid of a hiker as some, though of course I still enjoy hiking for the joy of it, and to get images. My favorite trails are Craggy Pinnacle Trail, Alum Cave Bluffs, The Roan Mountain stretch of the Appalachian Trail, The Cascades Trail in Virginia, and Waterrock Knob Trail on the Blue Ridge Parkway close to home, as it offers some of the most incredible vistas I’ve ever witnessed. BRO: What’s your favorite outdoor activity when you’re not taking photos? RS: I’ve always loved playing golf, and I prefer walking while playing. It’s relaxing, and good exercise too. BRO: Is there one piece of gear, aside from your camera, that you won’t go into the field without? RS: Two pieces actually! Gotta have my tripod and remote shutter! A lot of images I shoot are either high contrast or in low light; so with the smaller apertures and slower shutter speeds necessary to capture what I want I need to keep my camera as still as possible.